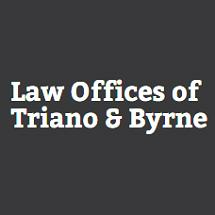 At the Law Offices of Triano & Byrne in Berkley, California, we offer comprehensive legal services and high-quality counsel in the areas of business law and litigation, family law, and real estate litigation. Serving clients throughout the San Francisco Bay Area, the attorneys at our law firm are highly rated trial attorneys dedicated to aggressively advocating on behalf of our clients' rights and best interests. Experienced attorney Martin F. Triano established our law firm in 1988, and attorney Mark D. Byrne, currently serving as of counsel, joined in 1992. Together, Mr. Triano and Mr. Byrne possess over 70 years of combined legal experience. Working alongside a team of dedicated and experienced associate attorneys, we can handle the demands of your case regardless of the complexities or challenges involved. From our high level of client commitment and professionalism, our law firm has earned a reputation as the trusted source for top-notch legal representation for those throughout our region. For small-business owners, we can help you resolve your disputes as effectively as possible to help you protect what you have worked so hard to achieve. We will also represent your interests with all commercial real estate transactions so that any issues do not affect the future success of your company. Likewise, residential real estate clients can rely on us for dependable representation involving homeowners' association disputes and other legal matters that may affect their homes, and we will advocate on behalf of your rights and best interests during any divorce proceedings that affect your family-owned business or property investments. For the personalized assistance and support you deserve for your serious legal issues, you can contact the Law Offices of Triano & Byrne to schedule an appointment for a free initial consultation.